This past week wasn't half bad with new additions. I received a few from the publisher (Dracula, the Un-Dead by Dacre Stoker and Ian Holt, Dracula by Bram Stoker and The Rhetoric of Death by Judith Rock) and though they weren't expected, they sound pretty interesting, won Revolution by Jennifer Donnelly from GoodReads and I bought a used copy of The Canterbury Papers by Judith Koll Healey to try and squeeze in before I review The Rebel Princess . Plus, my homegirl Liz at Historically Obsessed wrote a fab review for it, so I know I'll enjoy it. SYNOPSIS: BROOKLYN: Andi Alpers is on the edge. She’s angry at her father for leaving, angry at her mother for not being able to cope, and heartbroken by the loss of her younger brother, Truman. Rage and grief are destroying her. And she’s about to be expelled from Brooklyn Heights’ most prestigious private school when her father intervenes. Now Andi must accompany him to Paris for winter break. Jennifer Donnelly, author of the award-winning novel A Northern Light , artfully weaves two girls’ stories into one unforgettable account of life, loss, and enduring love. Revolution spans centuries and vividly depicts the eternal struggles of the human heart. SYNOPSIS: The only thing I felt was a strong hand around my neck, another around my waist, and -- before I could cry out -- I smelled the thick, sweet scent of a mandrake-soaked cloth. Unforgiving hands clapped it against my face, and all went dark. Alaïs, the king of France's sister, is abducted while on her mission for the wily Eleanor of Aquitaine, the former Queen of England, to retrieve hidden letters that, in the wrong hands, could bring down the English king. In exchange, the French princess was to receive long-heldand dangerous information. Now Alaïs, along with help from the very intriguing leader of the Knights Templar, must unravel a tangled web of family secrets and lies. 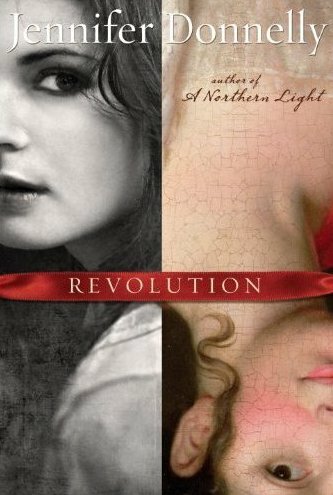 SYNOPSIS: Paris, 1686: When The Bishop of Marseilles discovers that his young cousin Charles du Luc, former soldier and half-fledged Jesuit, has been helping heretics escape the king's dragoons, the bishop sends him far away-to Paris, where Charles is assigned to assist in teaching rhetoric and directing dance at the prestigious college of Louis le Grand. SYNOPSIS: The authoritative sequel to Bram Stoker's original horror classic. A quarter of a century after Count Dracula "crumbled into dust," Quincey Harker-the son of Jonathan and Mina Harker-leaves law school to pursue a career on stage, only to stumble upon the troubled production of Dracula, directed and produced by Bram Stoker himself. As the play plunges Quincey into the world of his parents' terrible secrets, death begins to stalk the original band of heroes that defeated Dracula a quarter-century ago. Could it be that the count survived and is now seeking revenge? Or is there another, far more sinister force at work whose relentless purpose is to destroy anything and anyone associated with Dracula, the most notorious vampire of all time? SYNOPSIS: Dracula is an 1897 novel by Irish author Bram Stoker, featuring as its primary antagonist the vampire Count Dracula. 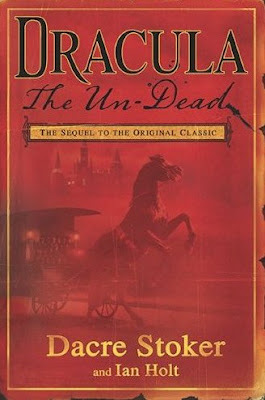 It was first published as a hardcover in 1897 by Archibald Constable and Co. Dracula has been attributed to many literary genres including vampire literature, horror fiction, the gothic novel and invasion literature. Structurally it is an epistolary novel, that is, told as a series of letters, diary entries, ships' logs, etc. Literary critics have examined many themes in the novel, such as the role of women in Victorian culture, conventional and conservative sexuality, immigration, colonialism, postcolonialism and folklore. Although Stoker did not invent the vampire, the novel's influence on the popularity of vampires has been singularly responsible for many theatrical, film and television interpretations throughout the 20th and 21st centuries. 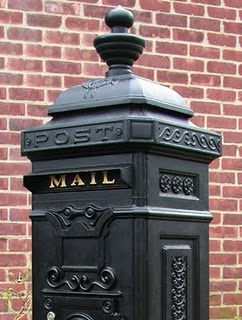 That's my mailbox, what about yours? Is this your first time reading Stoker's Dracula? It's a good one...hope you enjoy! Damn you woman! My tbr grows evermore :) Thanks. I got Revolution too and it sounds really interesting. I've been wanting to read her other books too. I'm jealous about Canterbury Papers and the Dracula stash. Nice! I am something of a Jennifer Donnelly fangirl, so I am so excited that Revolution isn't far away now, and also that having this book published means that she will be working on the third book in the Rose trilogy! Woo-hoo! 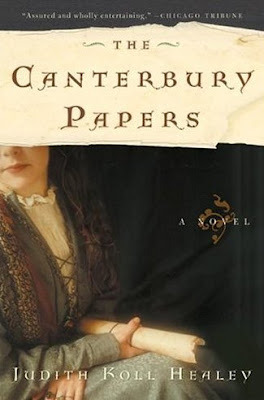 I have owned The Canterbury Papers for a long time now (although I think it had a different title at one point) but have never actually read it! One day. What a striking cover the 1st one has! Enjoy your books! I am torn between Canterbury Papers and Revolution. Sounds absolutely wonderful. Revolution looks very good. Looking forward to reading reviews for it. I'm thinking it will be a popular read. They all look and sound intriguing -- Enjoy! I haven't read any Dracula, but hope to get to The Historian next month. What a wonderful selection of books. 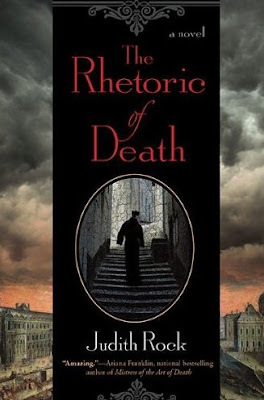 REVOLUTION, THE CANTERBURY PAPERS, and THE RHETORIC OF DEATH all sound like they will be must reads. I am looking forward to reading Revolution in the not so distant future!